This idea I got from a wonderful (or should I say dejligt?) Danish cook’s Camilla Plom’s tv show. 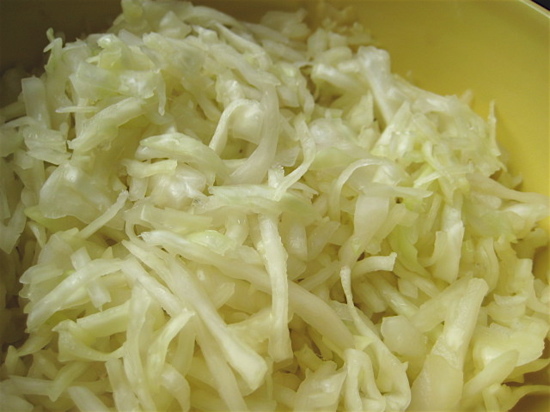 She made some kimchi and sauerkraut out of this but it’s also possible to just use this method to get the juices flowing when preparing cabbage salad. 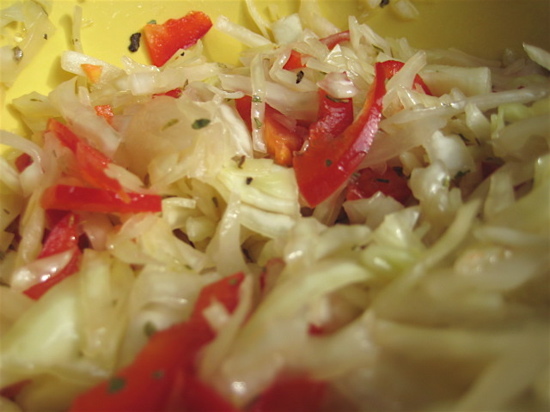 Chop cabbage into thin slices and put into a large bowl. Start crunching the cabbage slices with your hands. After awhile add a generous pinch of coarse sea salt and continue crunching until the cabbage starts to get moist and juicy. Keep on going until the cabbage is moist enough for your purposes (doesn’t take too long altogether). There you have it. If it’s too salty, just rinse it with cold water in a colander. If you want to prepare the entré salad famous from pizzerias, add thinly sliced red bell pepper, oregano, olive oil and a little vinegar. 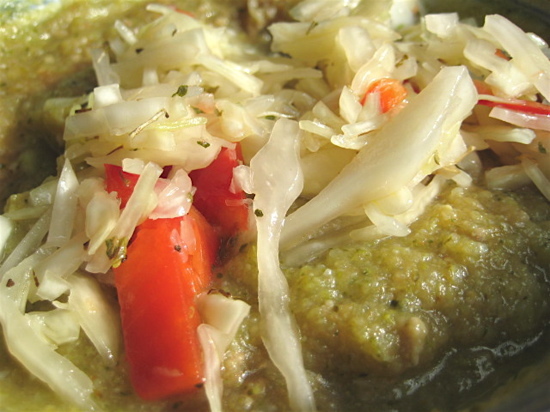 And if you wanna be as mad as the monkey, eat your salad by adding it into a bowl of pureéd veggie soup! Exotic isn’t it. But I’m loving it. Ps. I’m also loving Camilla Plom. Her laid back Danish and attitude make me miss my staying in Denmark so much… Have to go back!